The Green Bay Packers signed inside linebacker Joe Thomas to their 53-man roster Monday, filling a roster spot left open because of defensive lineman Josh Boyd’s season-ending ankle injury. Thomas was signed from the Dallas Cowboys’ practice squad, which he joined after the Packers cut him at the end of training camp. The second-year linebacker spent last season on the Packers’ practice squad. Thomas had a strong finish to his preseason, recording a sack with four tackles against the New Orleans Saints. 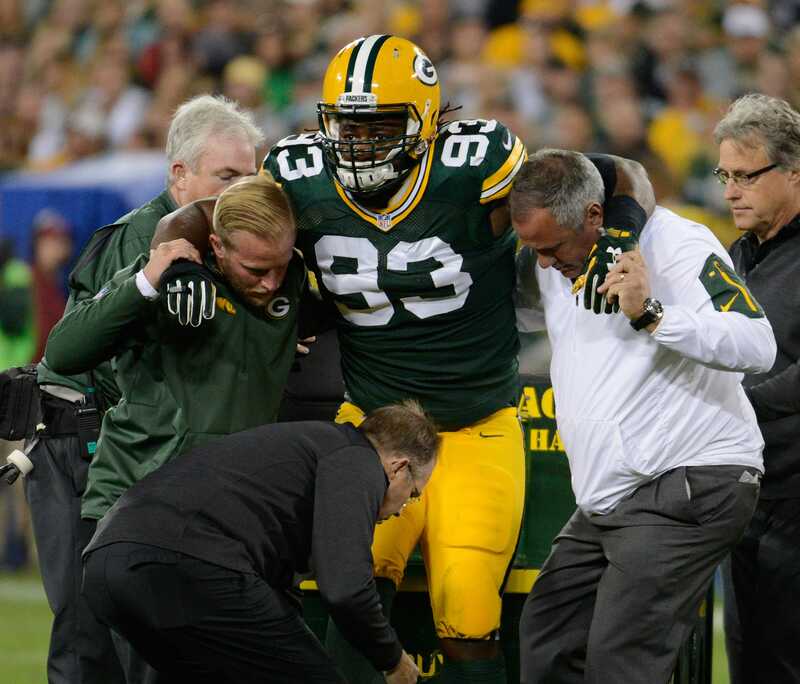 “He’s just a good, young football player,” McCarthy said. “You know, he was someone obviously we got down there on the final day (of cuts), and he was a young man we talked a lot about, and it was tough to see him go. It will be great to get him back in the mix, but we look at Joe as one of our guys. The move correlated with Boyd being placed on season-ending injury reserve. Boyd was carted off the field Sunday night with an ankle injury. An MRI showed a broken bone in his ankle and ligament damage, according to a league source. NFL rules mandate that if a player is signed off another team’s practice squad, he’ll receive a minimum of three paychecks even if released by his new team during that stretch. He’ll earn $76,764.71 for those three weeks, a significant raise from the $6,600 per week he made on the Cowboys’ practice squad. It should make the first-year linebacker a safe bet to stay on the 53-man roster next week when defensive lineman Letroy Guion is eligible for reinstatement from the suspended list. His addition bolsters a depleted depth chart. The Packers had been down to three inside linebackers in the wake of Sam Barrington’s season-ending foot injury last week. With Barrington out, Clay Matthews was the Packers’ dime linebacker in their 27-17 win against the Seattle Seahawks on Monday. It isn’t ideal for Matthews to play dime linebacker, considering he’s the Packers’ best pass rusher. Thomas, perhaps the team’s best coverage linebacker in camp, could allow Matthews to rush the passer in dime situations when the Packers host the Kansas City Chiefs next Monday night.